After going to the Veterans Day Parade and seeing some of the WWII, Korean War and Vietnam vets in their uniform I had to think, wow they can still fit their uniforms! Some of the Veterans were in good shape, some not so good, but they did what it took to get up and show up. Let me take a moment to say, I appreciate each and every service person that has taken time out of their lives to serve our country. Your body is so amazing. I am so happy and thankful for my body because no matter what – our bodies are hard at work on the inside. Our internal systems work like a duck paddling under water; when you look at yourself in the mirror you look pretty calm but on the inside a miracle is taking place. 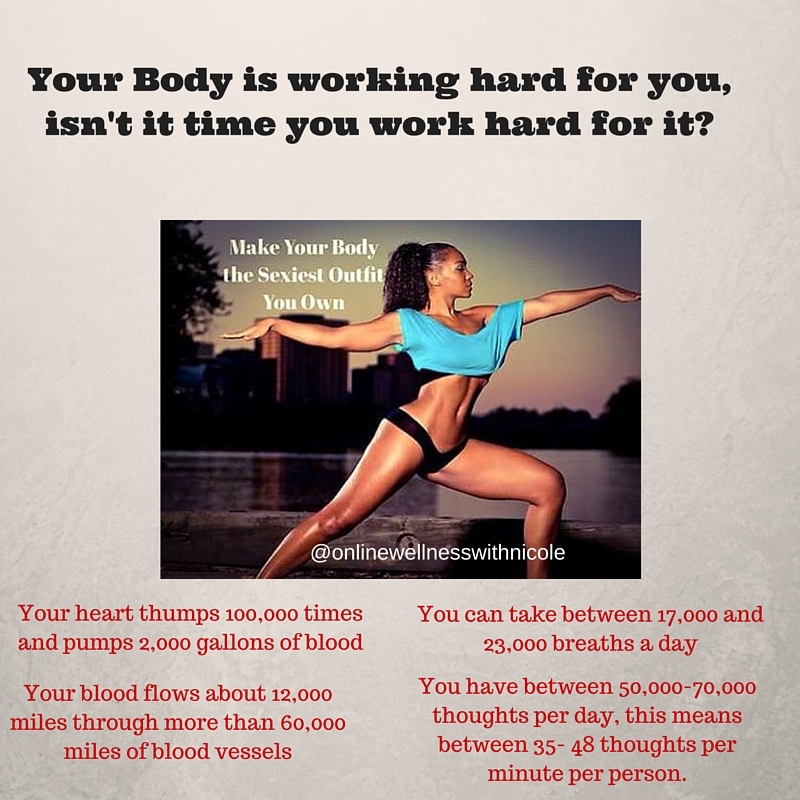 Take a moment to think about how wonderful and magnificent your body is. Whether we are happy about its appearance or not, it still does its job. Appreciate the fact that you woke up this morning. If you woke up a little stiff or in pain be thankful for that pain, at least you are among the living 😉 Let’s be intentional about what we feed our bodies, that includes our eyes and our ears. Feed your body things that will enhance you from the inside out. Enjoy your day and continue to be thankful. Being thankful is not just for November or Thanksgiving. Don’t Wait Until January, Do This Now!! !